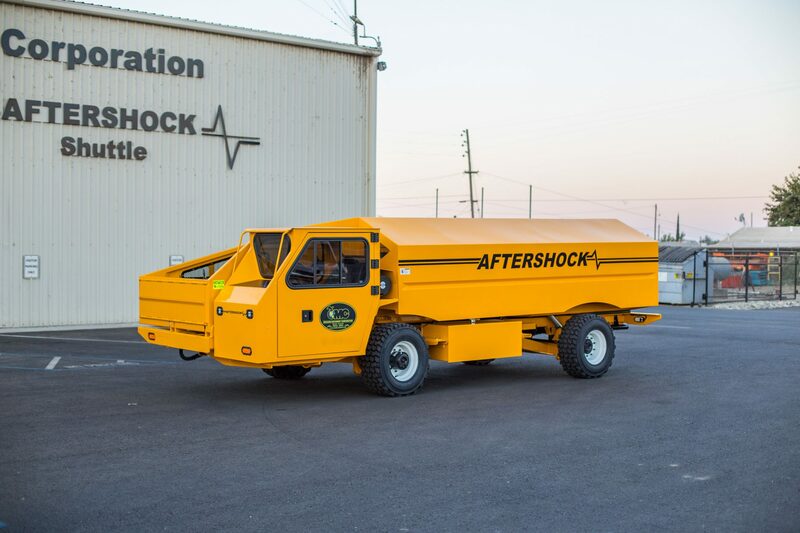 The key feature of the Aftershock AR400 shuttle is its 180-degree powered rotating driver’s console. 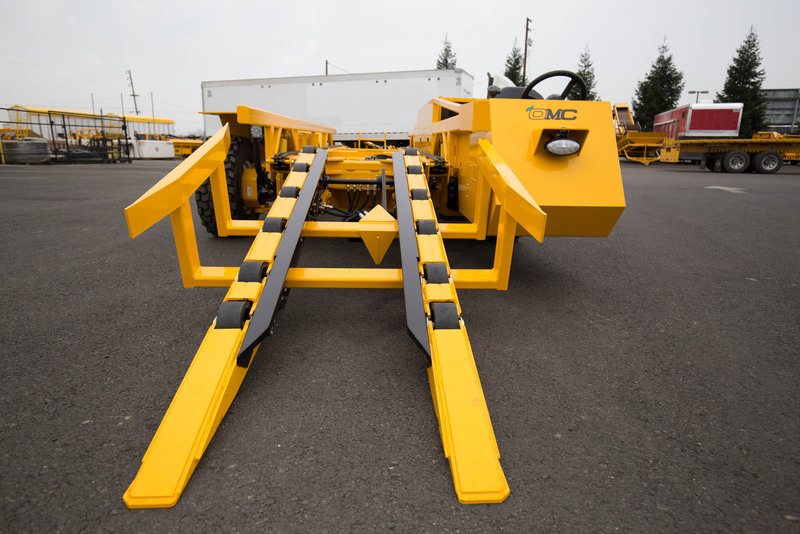 This standard feature allows the driver to approach the conveyor cart driving backwards to load the shuttle. 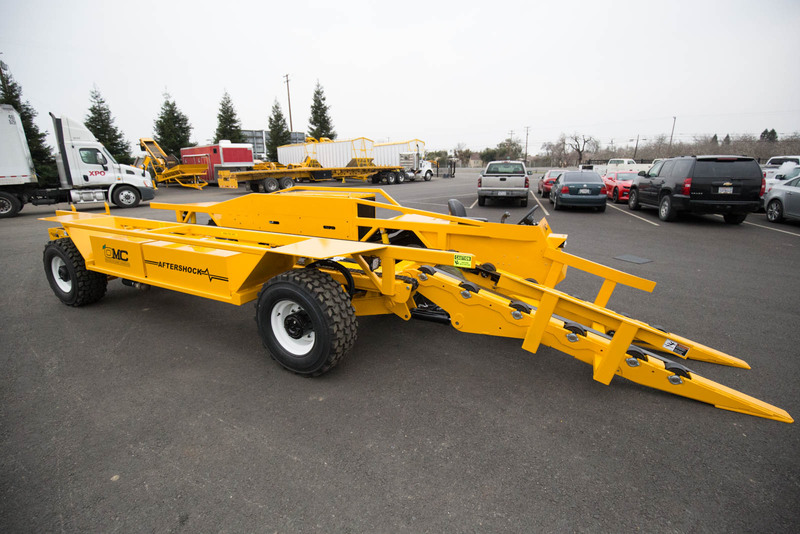 Once the cart is unloaded into the shuttle, the driver stops the shuttle, rotates the seat 180 degrees to the forward position, and can then drive back up the row without having to wait for the cart and harvester to move out of the way. 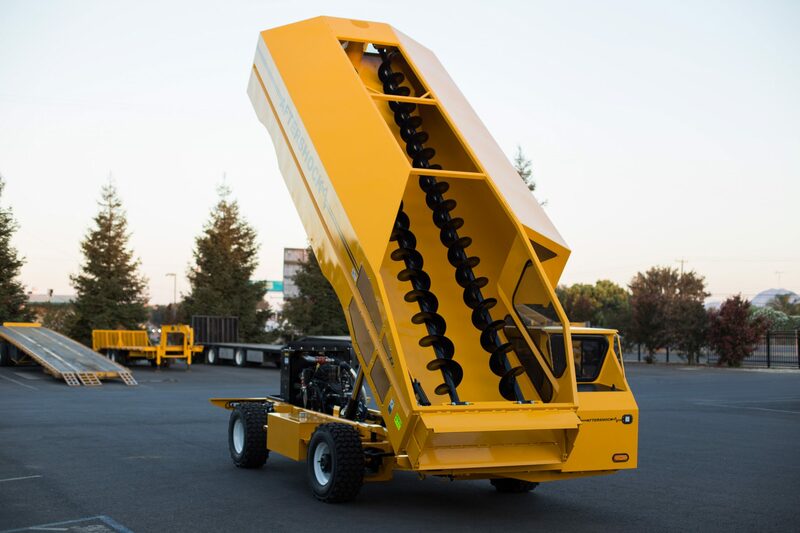 The AR400 shuttle works best when paired with OMC’s Aftershock SD-36 side-dump elevator and Aftershock CC-350 conveyor cart. New for 2018 – The AR400 now features an articulating rear axle to go with the standard air ride suspension in front and rear. Additionally, a powerful new Caterpillar turbo-diesel engine is available as an option, displacing 4.4L and providing 142hp and Tier 4F emissions. 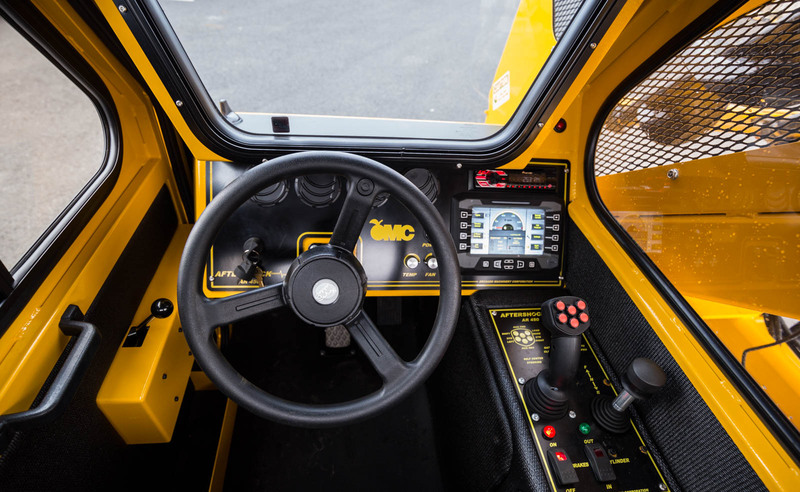 The interior is upgraded as well, featuring a composite operator’s console and new, intuitive controls. 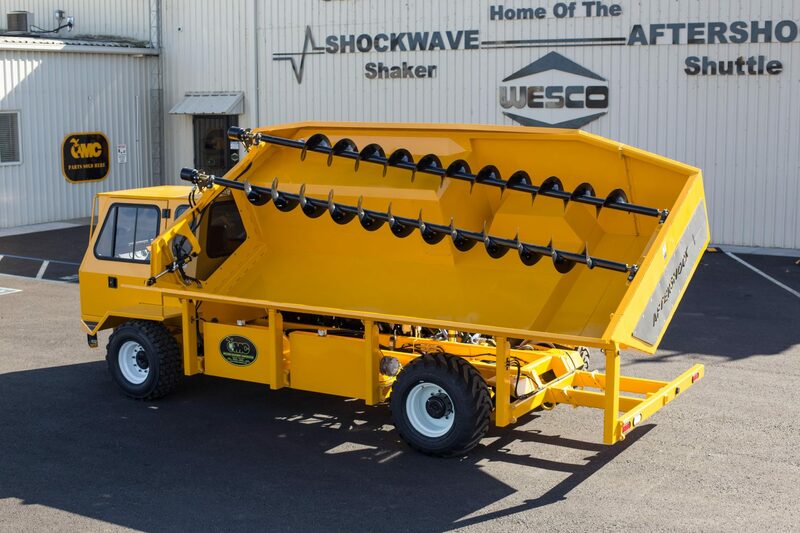 The AR450 shuttle drives behind and unloads carts such as OMC’s Aftershock CC-350 or CC-525, exiting the row behind and front-dumps into an OMC Aftershock SE-180 swing elevator or FE-36 field elevator. Two hydraulic augers inside the bulk tank spread your product evenly for maximum carrying capacity of 450 cubic feet. Power comes courtesy of a Cummins Tier III 4.5L turbo diesel engine driving the front wheels. The AR450 exhibits excellent handling characteristics with its standard all-wheel steering system. 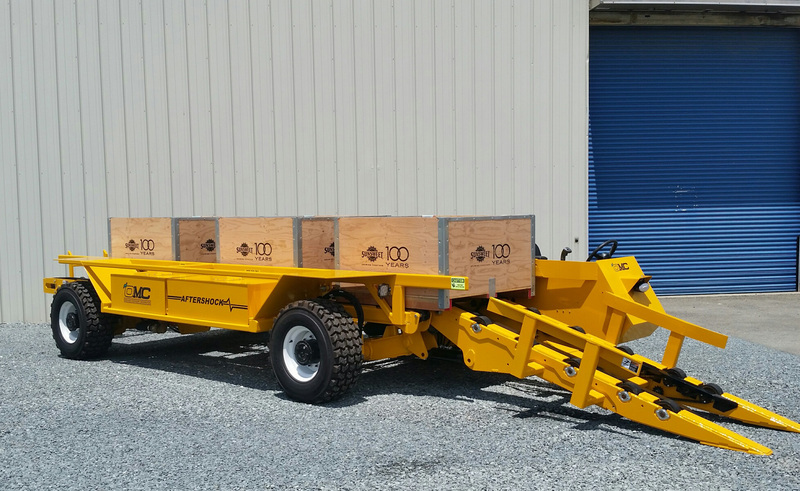 The Aftershock AR-7 Bin Carrier affords the operator smooth and efficient handling of products collected in bins. When bins are deposited in the orchard full and ready for pick-up, the AR-7 Bin Carrier glides through to pick them up and bring them to the collection point. 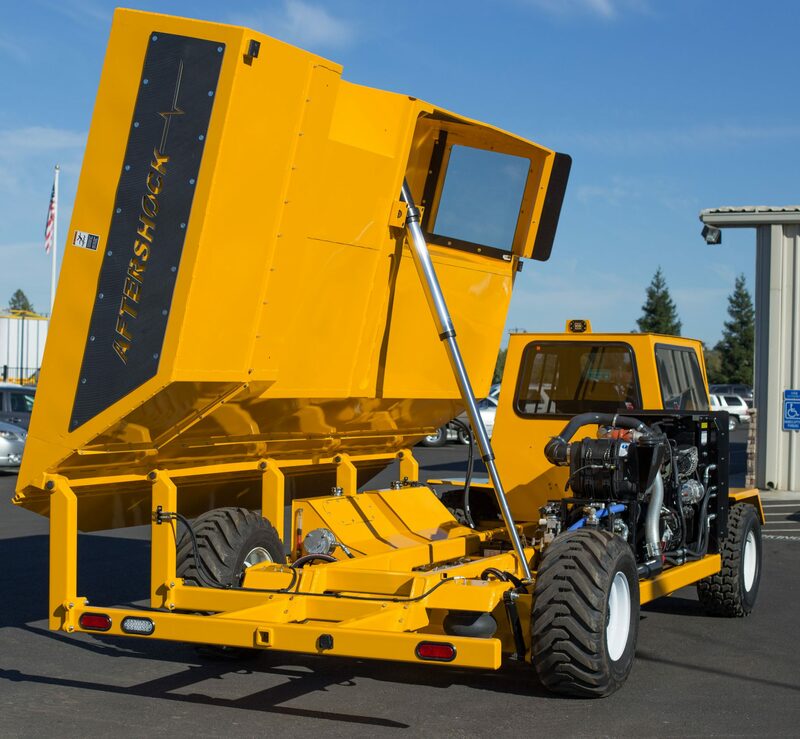 The ace up the Bin Carrier’s sleeve is that it can be configured with an optional bulk tank insert, giving the owner the flexibility to collect product in bins or in bulk as needed.